We also encourage you to read this FSU primer on the grievance procedure. In addition, we strongly urge you to familiarize yourself with Weingarten Rights- that is, your right to have a union witness present for any meeting with your supervisor that is of an investigatory nature or may have disciplinary repercussions (see the Grievance tab on the FSU website for more info, including a link to a more detailed MTA primer on Weingarten Rights as well as previous grievance updates). Class Size Increases- Concerns have been raised by FSU members about class size increases and the resulting increase in workload. Article 15.4 of the contract stipulates that the average workload in a department cannot be increased during the life of the contract. Class size increases in and of themselves, even if adopted across the board, do not inherently mean that the average workload has increased though it would be suggestive of an increase (for example, if class sizes are unilaterally increased in a department but other areas of work are decreased than the average workload would not have been increased). The GC conducted an analysis of class sizes in a number of departments and programs from 2 different colleges where such increases have been reported (it looked at class sizes in these departments/programs from Fall 17 and compared them to Fall 16). The GC concluded that no violation occurred, meaning that the average class size did not increase in such a way as to indicate an overall increase in the average workload of the department (the average increase was 2 students per class; the GC feels that the language in 15.4 is meant to apply to large increases, not smaller fluctuations). However, the GC did note that there are problems with class size issues, particularly when class caps are raised for some courses that affect some faculty more than others. Therefore, the GC has asked that this issue be raised in Labor-Management meetings, asked that a class size/workload proposal be added to bargaining proposals (probably for next contract), that an FSU subcommittee/workgroup be tasked with examining issues associated with class size and class size increases, and that another analysis of class size be conducted in Spring 18. Lack of Due Process in Suspension Resulting From ODI Title IX Investigation (Sexual Harassment Policy)- A member was suspended after an ODI, Title IX investigation found preponderance of evidence indicating a sexually inappropriate interaction with a student (the disciplinary measures were enacted by the Provost’s Office following ODI’s finding). The member and FSU asserted that the ODI procedures used as basis for discipline lacked due process and thus the disciplinary measure taken by the Provost was automatically rendered without due process. The member filed a grievance and was denied at both step I and step II. The FSU along with the MSP, our sister chapter at UMA, agreed to take the case to arbitration. The arbitrator ruled against the FSU/MSP noting that the grievant was, at the time of filing, retired though the incident giving rise to the grievance occurred prior to retirement. The arbitrator determined that as a retiree they were not in the bargaining unit and therefore had no right to bring the case forward as they were not covered by the contract. However, the arbitrator did not rule on the assertions of lack of due process in the ODI procedures. Subsequent to this decision, Admin and FSU have agreed to negotiate over the terms and conditions of ODI’s Sexual Harassment/Title IX procedures. Those negotiations are pending. Students Videotaping Class Without Permission/Potential Inappropriate Political Content Question In Classroom- In Spring 2017, a faculty member’s class was taped without their permission and posted online. The faculty member was asked to attend a meeting with the Administration due to potentially inappropriate political content used by the faculty member during the class. An FSU representative attended the meeting and the member was apprised of their rights. No disciplinary action against the faculty member was taken. The administration separately brought to Faculty Council changes to their student conduct policy and instructional setting conduct policy for approval. The FSU President, Marlene Kim, who sits in these meetings, strongly suggested including language that specifically prohibited taping, recording, or video recording faculty without their permission, and met with the Administration on this issue. As a result of this meeting, the administration included explicit language preventing these activities, which then passed Faculty Council. The revised student conduct policy contains more comprehensive language banning the taping of a class without explicit consent of the faculty member (see policy here; that specific clause is on page 21). In addition, the Faculty Council adopted an instructional setting conduct policy with similar language (see policy here). Members who have questions on this may contact the office of the Dean of Students and/or the FSU. Review of Associate Lecturer Hires- The GC was concerned that many new NTT hires might have been incorrectly hired into the Associate Lecturer rank, rather than into the Lecturer rank (see Article 21.10.2(c) of the contract for details on the criteria of the Associate Lecturer rank). The scope of the assessment was deemed to be to great for individual grievance officers to take on so the FSU Executive Committee agreed to convene a subcommittee tasked with doing this work. The subcommittee is currently meeting and will report to members when they have finalized their work. 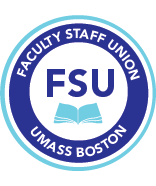 Pay Schedules/Pay Check Issues- Multiple members have contacted FSU with concerns/issues regarding late pay, overpayment demands, contracts not signed in time, etc. This issue was raised at a Labor-Management meeting. The Administration indicated they would look at systems in place, make changes. Tenure Denial Case- A member who was denied tenure filed a grievance, asserting that (a) proper procedures were not followed in her assessment, and (b) standards for promotion were unfairly applied to her but not to other members of the department. The grievance was denied at both step I and step II. The FSU along with the MSP, our sister chapter at UMA, agreed to take the case to arbitration. However, the grievant/FSU were unable to obtain corroborating information from other faculty members in the department. The arbitration case was rescinded due to lack of evidence. Faculty Governance Issues With Dean (Article 12, Red Book)- Faculty members in a college have been attempting to establish bylaws for personnel reviews, etc. Dean has notified them that they must establish personnel committees according to Dean’s specifications. An FSU representative attended a meeting with the Dean regarding this issue. Reduction in Time After Reappointment Notice Given- An NTT member indicated that they had been given a reappointment notice for 50% time for Fall 17. However, just before the start of Fall 17, they were told they would be 25%, though their other class was not cancelled. GC members spoke with that faculty member’s Dean, who indicated that the Provost said no violation occurred. GC believes that reappointment language requires that a percentage of time for reappointment be given at time of reappointment notice. The percentage of time can only be reduced in the event of that faculty member’s course being cancelled. FSU filed a policy grievance on behalf of FSU members (the NTT in question did not wish to file independently). FSU decided that prior to scheduling a step I hearing we would first poll the unit members who might have been impacted by this practice and then present data to Admin. An email was sent to potentially impacted members. To date, no responses have been given. A 75% UMB NTT member with a continuing appointment took additional, full-time position at UMD so UMB compelled her to reduce her time here from 75% to 25% citing conflict of interest policy. This essentially removed her continuing appointment. The member indicated that she was never told this was counter to current policies. The GC reviewed this action and feel that this such a policy does not apply to her. Furthermore, we assert that even if the policy were to apply, a continuing appointment cannot be removed without due process. A grievance was filed and a step I decision was rendered, resulting in the member’s continuing appointment being reinstated. However, the decision did not address the viability of teaching over full-time at different UMass campuses nor did it address retroactivity (i.e. recouping lost income from the reduction to 25%). A step II grievances was filed and a hearing was held. The decision is pending. Additional Work Not given- A Lecturer was not offered additional work per 21.3 in Fall 17 and Spring 18. A grievance was filed. Hearing is pending. Reduction in Continuing Appointment- An NTT member with a continuing appointment was reduced in time from 100% to 75% without having received a year’s notice of layoff. This NTT has a 75% continuing appointment in one department but routinely teaches a 4th course in another college. The Administration argued that the NTT’s continuing appointment is with the University, not the department, therefore their only obligation is to maintain a total of 75% time, regardless of which college or department the faculty member is working in. Therefore, they reduced them to 50% in their department plus 25% for the course taught in the other college. The continuing appointment contract given to the faculty member indicates that the 75% appointment is with the department. The FSU advised the member that the reduction of their time in the department from 75% to 50%- regardless of whether they taught a course in another college-was a violation of their continuing appointment contract. A grievance is being contemplated. Add Comp for Faculty Less than 100%- A number of members have indicated that they have gotten add comp for some of their work despite being less than 100% (i.e. the 4th credit of a Navitas seems to be paid as add comp not salary). At a prior Labor-Management meeting, FSU and Admin both agreed that any work performed by faculty who are less than 100% as part of their regular job responsibilities needs to be paid as salary, not add comp. Admin says they will notify their chairs, Deans. Admin says this has been applied to Fall 17 retroactively and Spring 18. We need to clarify if/how this will apply to work performed prior to Fall 17. 33% Limit on Add Comp- BOT policy T01-012 on additional compensation (policy can be seen here) requires Dean and Provost approval for any add comp that would total more than 33% of their salary. Admin had been interpreting this to automatically deny any add comp totaling more than 33% of a member’s annual salary. FSU asserted that this would not apply to NTT, anyone less than FT, and that the denial should not be automatic but rather reviewed on a case by case basis. A grievance was filed in 2011. Admin ceased applying the policy in the manner described above. However, recent reports from members have suggested that the limit is being re-applied. FSU raised this matter in a recent Labor-Management meeting. The Administration indicated they are implementing the current BOT policy (Dean and Provost need to approve any add comp over 33% of a member’s regular annual salary). Dismissal Procedure (Article 18)- A tenured member was suspended with pay for classroom conduct issues. Admin has initiated dismissal procedures. FSU has apprised them of their rights. Dismissal Procedure (Article 21.12)- An NTT member was suspended with pay for performance issues. Admin has initiated dismissal procedures. FSU has apprised them of their rights. The dismissal hearing took place. FSU grievance officer attended as witness. Termination Due to Misconduct- A pre-tenure faculty member was charged with misconduct. The Administration initiated termination procedures. The FSU has advised the faculty member of their rights. Weingarten Rights Not Followed- A member was asked to attend a meeting with their Dean without indication of agenda for meeting. In the meeting, the Dean indicated that there might be an investigatory or disciplinary nature to the purpose of the meeting. After the meeting, the GC apprised the member of their right to have Weingarten witness at any meeting of this nature in the future. Denial of Right to Engage in Outside Activities- A member who had been regularly teaching a course for pay at another institution was told prior to Fall 17 that they would have to either cease teaching that course or take a commensurate reduction in salary at UMB. FSU noted that BOT policy 96-047 on outside activities permits members to teach at other institutions (policy can be seen here). A grievance was filed and a settlement reached. Member can continue to teach the course as long as chair and dean can continue to certify that this other teaching commitment does not represent a conflict with his primary commitment to UMB. MTA Legal Services Sought- A faculty member was required to testify in a lawsuit brought by another faculty member against the university. The former raised concerns that their personal information, content of personnel files, and other confidential information could become public as part of the lawsuit. The member sought legal help from the union and was referred to the MTA Legal Services division. MTA Legal Services has assigned a lawyer to assist this faculty member.